As of November 16, 2016, The Mission Inn has new owners. Susan Babineau-Roberts and her husband Ray Roberts have officially retired from the innkeeping business, selling the Inn to Laura Shaddock and Wendy Collins who are excited to carry on The Mission Inn's tradition of hospitality excellence. It has been a wonderful and rewarding 14 ½ year since June 14, 2002, when two dreamers took a leap of faith and entered The Mission Inn. Since that date we have achieved our goal of being the #1 bed and breakfast in Cape May and New Jersey. The ratings were a sign of our success in living our original dream. 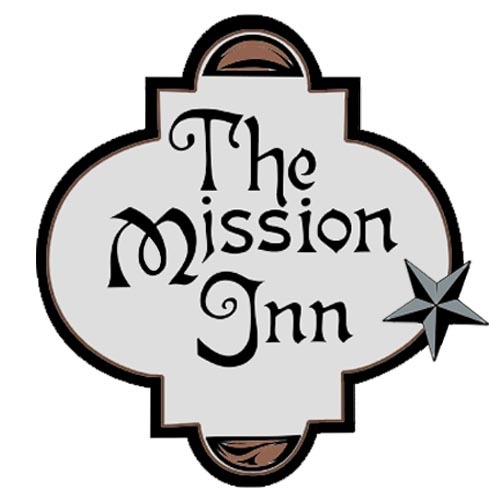 The most rewarding experience was not the rating, but rather the wonderful guests we met along the way, all of whom entered the Inn as “guests” and left as members of the Mission Inn family. You each contributed to the warmth and hospitality experienced by all who entered the Inn. Each of you are the greatest reward we could have ever wished for. We thank you from the bottom of our hearts. Now Ray and I are turning the page and beginning a new chapter in our book of life. On November 16, 2016 we turned the keys over to Wendy and Laura, who share our original dream. As dreamers they have taken the same leap of faith as we did in 2002. They are charming, loving, and caring, and they possess hearts large enough to not only maintain the Inn’s reputation but to take it to new heights. Their goal is to provide you with the relaxing and romantic environment you have come to expect. Ray and I have the utmost confidence in Wendy and Laura to exceed your expectations. We encourage each of you to continue to make The Mission Inn your “home”. Ray and I are making Cape May our home – keep an eye out as we may be walking next to you, sitting across the dining room, or relaxing on the beach. When you see us, please stop and say hello. God bless you all and may you each be “dreamers” and enjoy every moment of this most wonderful life. We are blessed to have found the perfect bed and breakfast, in the perfect location, and with the perfect sellers. We feel honored that Susan and Ray have entrusted us with The Mission Inn and we look forward to continuing to provide the same level of service and comfort that you have come to expect here. To that end, we will be maintaining and expanding on the amenities at the Inn, and we are extremely fortunate that all of the existing staff will be staying on with us. While Susan and Ray have moved on to their next chapter, The Mission Inn represents ours. We look forward to all of the new and exciting opportunities ahead, and we can't wait to meet all of you the next time you return "home" to Cape May.